The event in which Michelle shows her true patriotic Kedahan spirit? 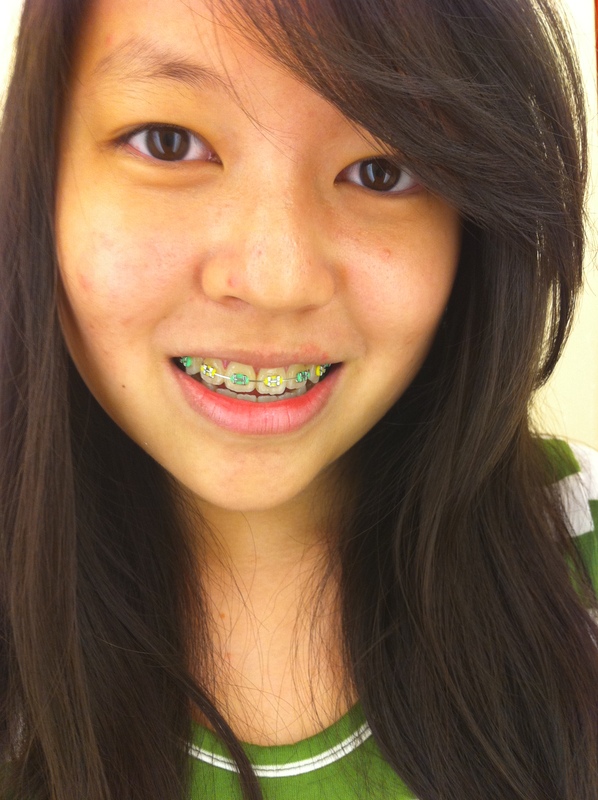 The reason why I got green/yellow braces today is to match my nail polish. After that, Dad insisted we visit the Floral Exhibition in the Botanical Garden and I even made a DIY recycling bag for 15 Ringgit! An excruciating 30 minutes later, it turned out uglier than the one done by a 7-year-old sitting next to me, so I quickly left the booth and hid the bag in the car. We went to Si Pek’s house yesterday (they just came back from England) and found out the pups are named! The other two black puppies who Mum didn’t take photos of are Zorro and Happy. …that sounded racist, didn’t it?